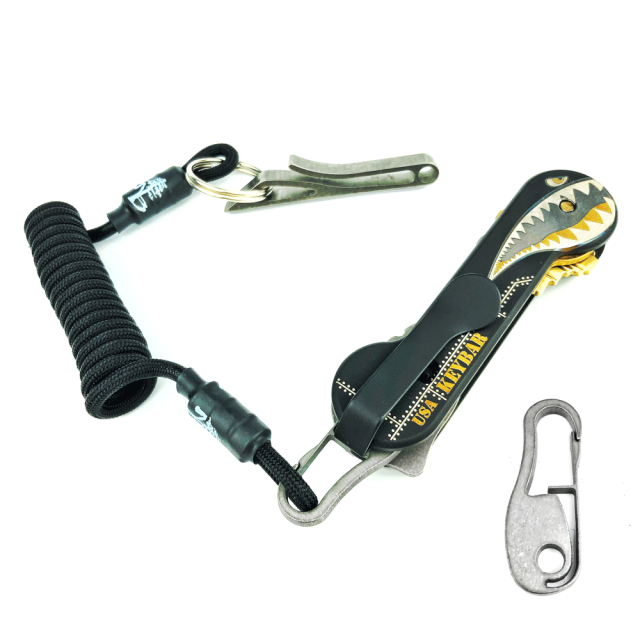 A thicker, longer version of our titanium Keyrabiner 3.0, the 4.0 works excellent with items such as the Para-Coil Retractor, MagNuts, backpacks, belt loops and any other gear. 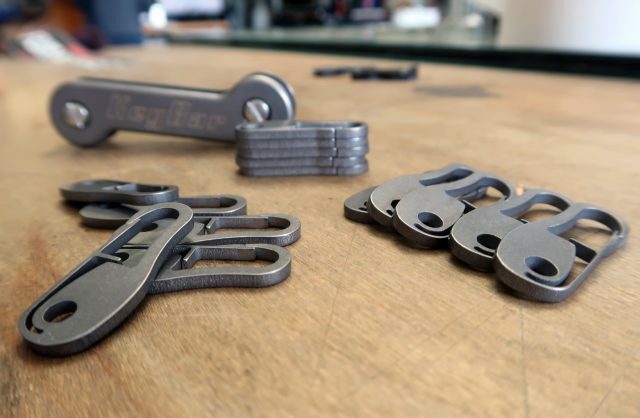 When used in the KeyBar, it smoothly folds within when not needed. 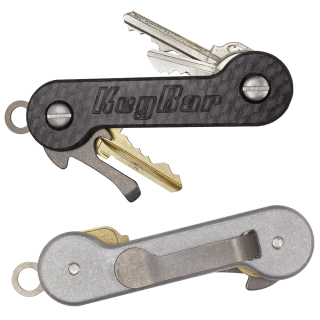 The Keyrabiner 4.0 is here – and it’s more durable than ever! When creating the 4.0 model, we wanted to enhance the thin, lightweight features of the 3.0 Keyrabiner; however, we really wanted to apply some of the durable and easy-to-use features we loved about the classic 2.0 Keyrabiner. 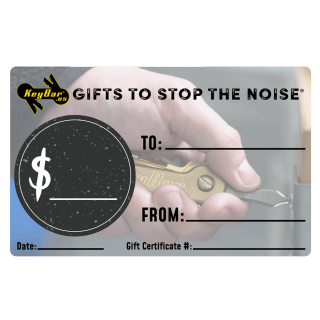 By upgrading the fundamentals of what we and our community love about this insert, we’re able to create the best Keyrabiner yet! 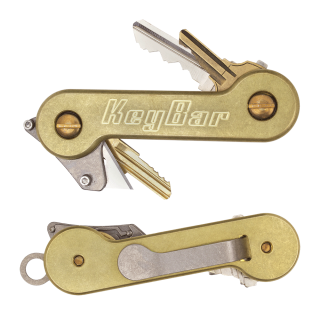 Each individual Keyrabiner is made of pure titanium. 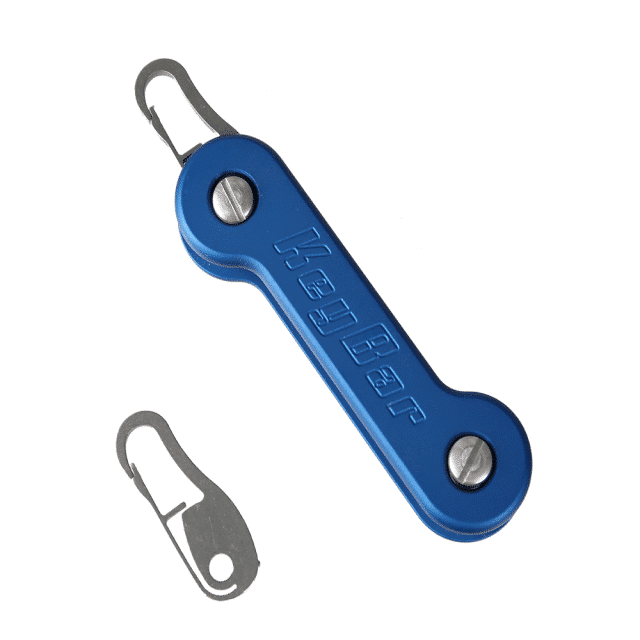 The functionality is designed to act like a carabiner and can fold into the KeyBar for convenient storage. To ensure complete quality control, each Keyrabiner is crafted with our water jet right here in the USA. Way better than the 3.0. 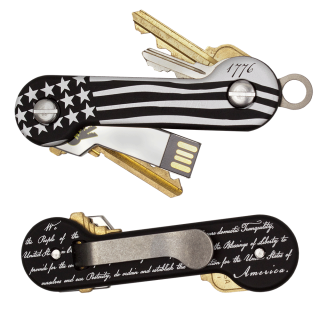 I like that the tab is on the inside and not the outside. Works perfectly. A bit over-priced though.